A divorce does not always require a lawyer. However, when married couples attempt to handle their own divorce without a lawyer, emotions or unfamiliarity with the law often cause them to have unrealistic goals, priorities, and expectations. They overlook the complications and issues that often arise after filing for divorce. Unfamiliarity with procedural rules, substantive laws, or legal doctrine, may cause them to lose their rights, their ability to correct mistakes, litigate important issues, and even lose their case. 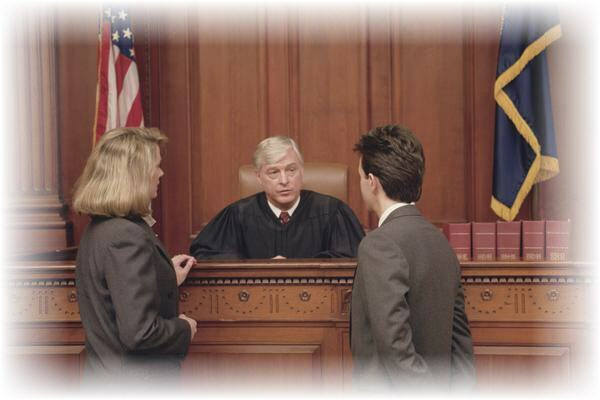 For example, in a 1989 case, the Appellate Division held that pro se litigants must follow established procedures. The court stated that self-represented litigants are "free to represent themselves if they so choose, but in exercising that choice they must understand that they are required to follow accepted rules of procedure promulgated by the Supreme Court to guarantee an orderly process." The court further stated that "[s]uch litigants are also presumed to know, and are required to follow, the statutory law of this State." See Tuckey v. Harleysville Ins. Co., 236 N.J. Super. 221 (App. Div. 1989). More recently, in a 2014 unpublished opinion, the Appellate Division rejected a litigant's claim that he was entitled to "solicitude and indulgence" because he was acting pro se. See Guirguis v. TD Bank, No. A-2231-12T1, (App. Div. February 25, 2014). For these and other reasons, divorcing couples eventually become overwhelmed, angry and emotional. Communications between them can stop completely or become ineffective. They soon realize their problems involve not only divorce, but custody of their children, division of property, and financial support. They realize their emotional and financial futures are at stake and at risk. During initial or post-judgment proceedings, one or both of them may begin to dig their heels, distrust the other, refuse to negotiate, or start acting vindictively toward the other. This often leads to one party deciding to get a lawyer. This changes everything because the party without a lawyer must now also get a lawyer or proceed at a great disadvantage. As a family law attorney, I can provide you with the aggressive representation you need to protect your rights either during or after a divorce. Starting in 1997, I went through a divorce that, because of post-divorce proceedings, lasted 14 years. This experience allows me to understand what you are going through. It also taught me how New Jersey laws can effectively be applied to the unique facts of your case. I can help you to determine what your needs, goals, and priorties are. I strive to get the best possible understanding of all the facts of your case. I do my best to provide you with ongoing meaningful input into the outcome of your divorce making sure that you are treated fairly. I focus my energies on your needs, priorities and on working toward a sensible and just conclusion to your proceedings. I believe this is where I provide you with real value that surpasses the competition. As an attorney exlusively devoted matrimonial law, I can help protect you from the risks of a contested divorce. Please contact me at Sosis Law, LLC for a free initial consultation.